​at 254.699.4999 or email gina@hhchamber.com. Texas Monthly Magazine features HH Food, Wine & Brew Fest August, 2017 edition. ​Travelmag.com features HH Food, Wine & Brew Fest - The Best Festivals in Texas . ​KCEN News6 features digital and t.v. 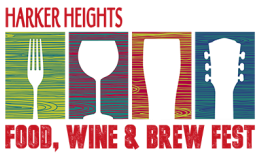 commercials HH Food, Wine & Brew Fest commercials.